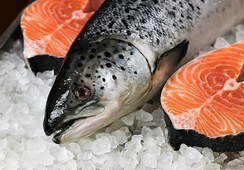 Much more Scotland-specific research is required if the environmental impacts of salmon farming in the country are to be fully understood, a Scottish Parliament committee has been told. 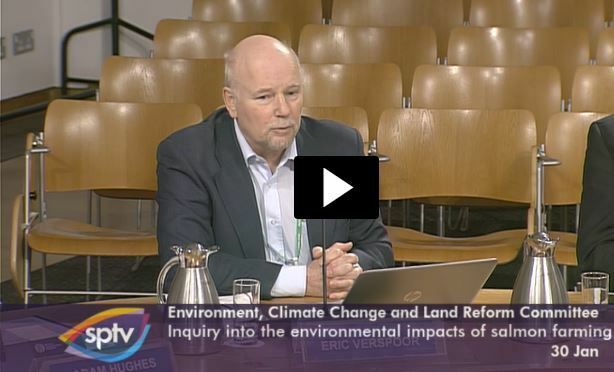 Members of the Environment, Climate Change and Land Reform (ECCLR) Committee were taking evidence from the authors of a report commissioned for the committee's inquiry into environmental impacts of salmon farming in Scotland. The report, by a consortium led by Oban-based Scottish Association for Marine Science (SAMS) Research Services Ltd, is a review of the scientific evidence relating to the effects of salmon farming, and can be read here. Contributing author Professor Eric Verspoor, of the University of the Highlands and Islands' Rivers and Lochs Institute, said published literature on the effects of fish farming on wild salmon in Scotland was incredibly sparse, one reason why the report used information on the effects of salmon farming on wild stocks in Norway. His response came in answer to Angus MacDonald, SNP MSP for Falkirk East, who said 2.2 million salmon had escaped between 2002 and 2018, and asked: "How concerned should we be about escapes, given that most won't survive? How can we be sure they will not survive?" Verspoor said even moderate levels of introgression - escaped farmed salmon interbreeding with wild salmon - could compound mortality rates of wild fish. He said Norway had developed a system of monitoring introgression, and that in Iceland constantly monitored levels of introgression will determine whether the industry is allowed to expand. He said the only only way to get similar information for Scotland "is we need to monitor on a regular basis levels of introgression within Scottish wild stocks". Claudia Beamish, Labour list MSP for South Scotland, said the public were concerned by sea lice reports and asked if making farm-by-farm sea lice data publicly available - something she said she had already tried to make a legal obligation in 2013 - would help. Verspoor said: "The extent to which lice are attached to salmon is going to depend on the local circumstances, and that is going to depend upon the time of year, the environmental conditions and a lot of factors. You can say there is risk, whether it is a concern is a question." He said he knew of a stocked river location in Scotland where "they have had historical highs in their (wild) salmon and yet those salmon have to go past a very large salmon farming operation. Is the stocking accounting for those highs? Is the place where those salmon go in the ocean particularly good?" The other scientists giving eveidence to the committee were Dr Adam Hughes, Professor Nick Owens, Professor Paul Tett, and Dr Lindsay Vare, all from SAMS. 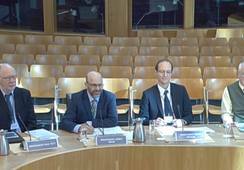 The ECCLR committee’s inquiry was undertaken in advance of the Rural Economy and Connectivity (REC) Committee’s forthcoming inquiry into aquaculture in Scotland. 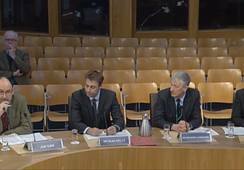 The ECCLR committee will take evidence next Tuesday, February 6, from the Scottish Salmon Producers' Organisation, Scottish Environment Link, Friends of the Sound of Jura, Loch Duart, the Scottish Environment Protection Agency, Marine Scotland Licensing Operations Team (MS-LOT) Marine Scotland Science Fish Health Inspectorate (MSS-FHI) and Highland Council.